Having trouble downloading your files? Here is a few ways to get your file or files! 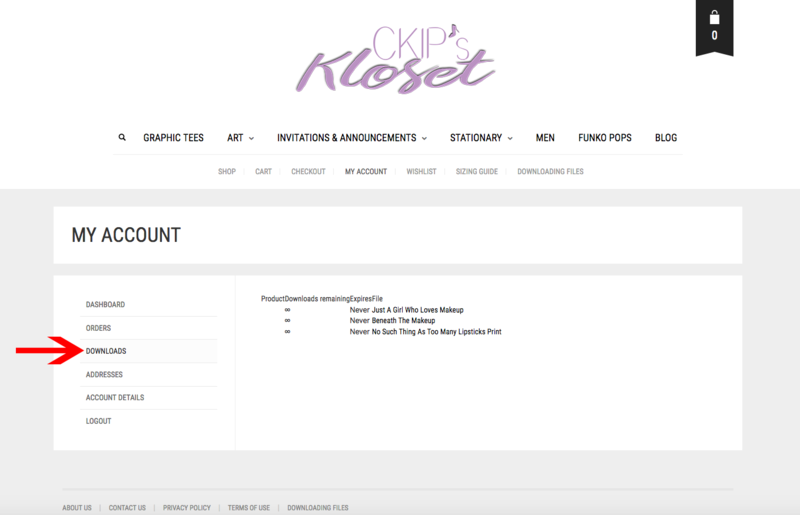 You will receive an email stating your CKIP’s Kloset order is complete. Under the Product name you will see Download, that is where the link to your file or files will be. 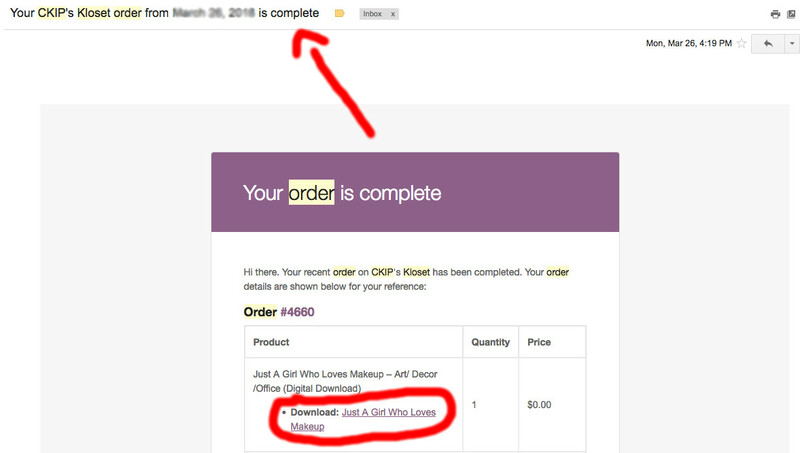 If you don’t see the file, please check your spam for the order email that will contain the link for your download. Just click the link and save to your computer. After saving your file to your computer, you can print it on your home printer or take it to your local print shop or office supply store for printing. It’s very convenient and affordable, you can also upload the file to an online printing company. Sign into your account or if you are already logged in go to step 2. 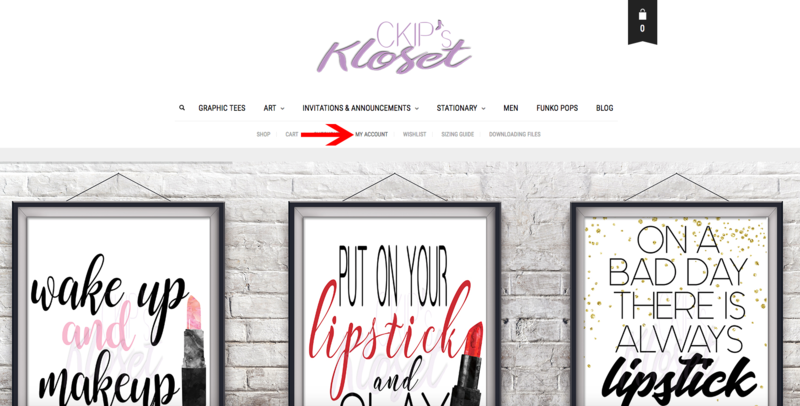 Go to My Account under CKIP’s Kloset banner at the top of the site. Under MY ACCOUNT on the left hand side click on DOWNLOADS. You will see your file or files, click on the file name you want to download and save to your computer! If you are having trouble with downloading your files, please contact us and we will be more then happy to help you out! Please CLICK HERE to contact us!! !